To apply, you can contact your local state Probation and Parole office in the county where the applicant lives, or you can contact the Board of Pardons and Paroles main office by phone, mail, email, or in person. Once your application is submitted, the Board has a 30 day discovery period and a 14 day response window, so you should receive a response within 45 days. Based on the results of the investigation and a favorable determination by the Board of Pardons and Paroles, a voter right restoration certificate will be issued. 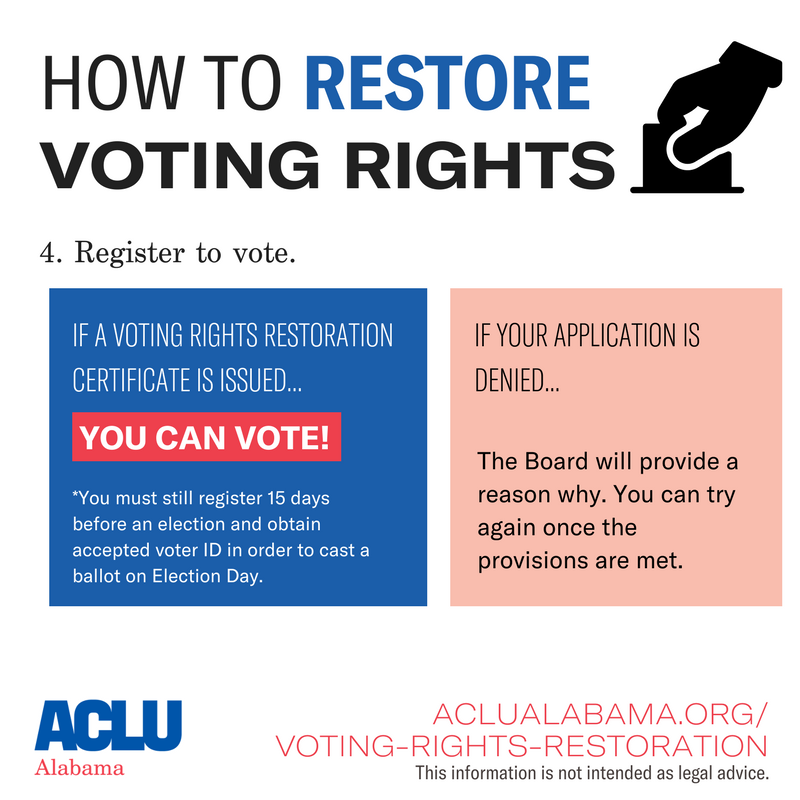 Once your voting rights are restored, you must still register to vote with your local registrar office or online at alabamavotes.gov. 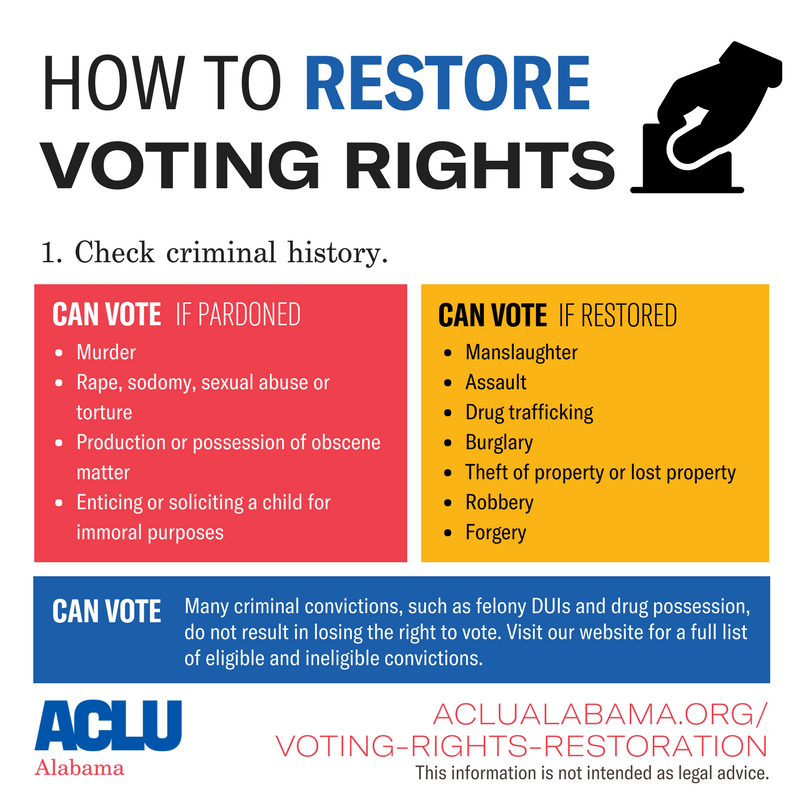 What is voting rights restoration and who needs it? What crimes are on the list of crimes of moral turpitude? 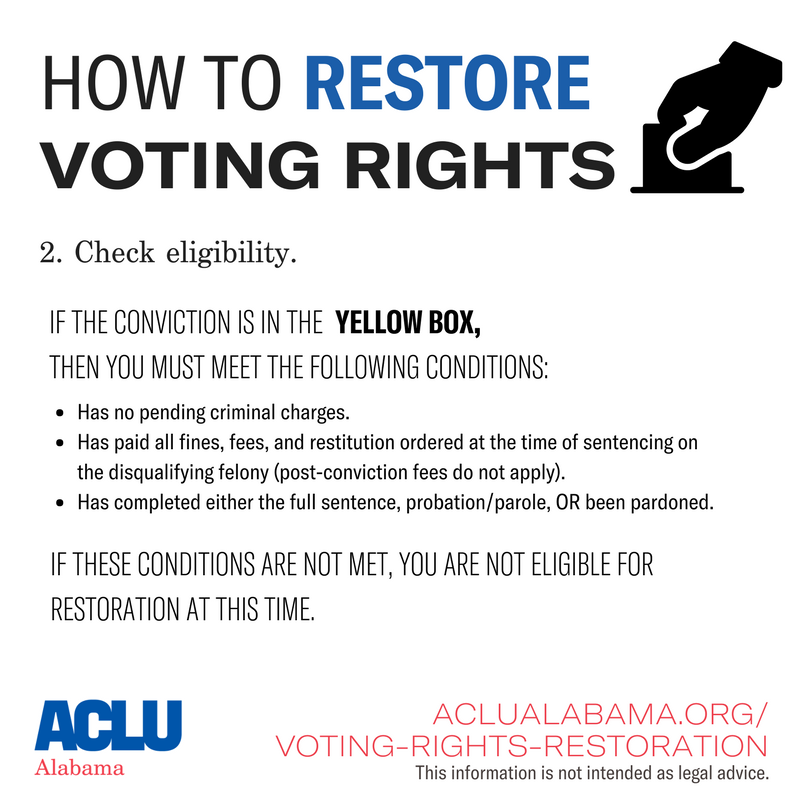 How do I apply to restore my voting rights? Are there any upcoming clinics in my area? 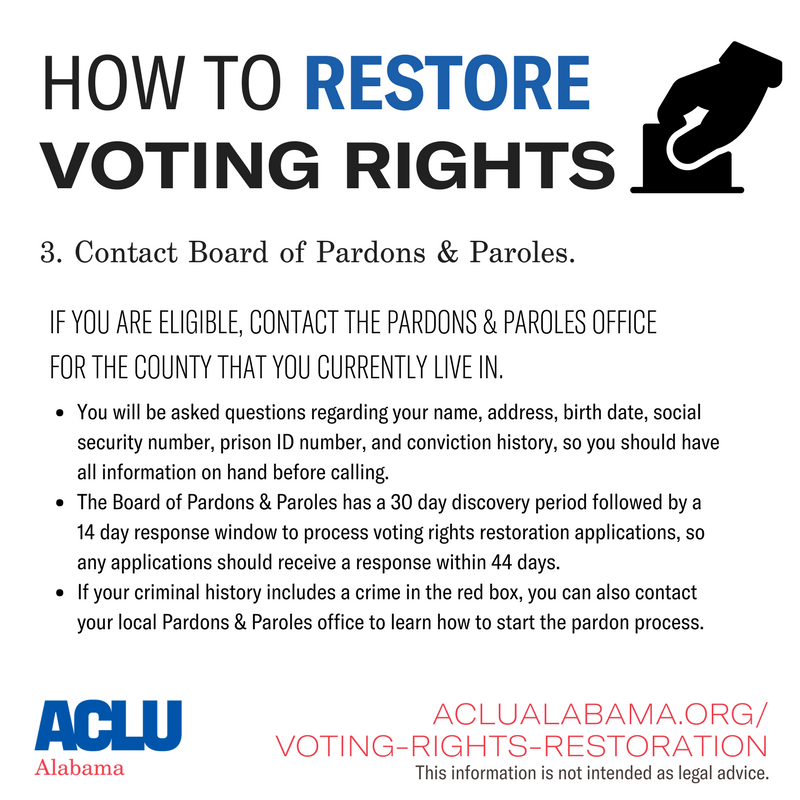 We have also created resources to help people and organizations that are interested in assisting with voting rights restoration.